Through his words Oswald describes a race, born more than twenty years ago, when a couple of friends and him, all with a strong passion for skitouring, had an idea, which became particularly brilliant: 42 km to run across in a team of two people, with 2800 m+, among four mountain passes of the Dolomites: Pordoi, Sella, Gardena and Campolongo. 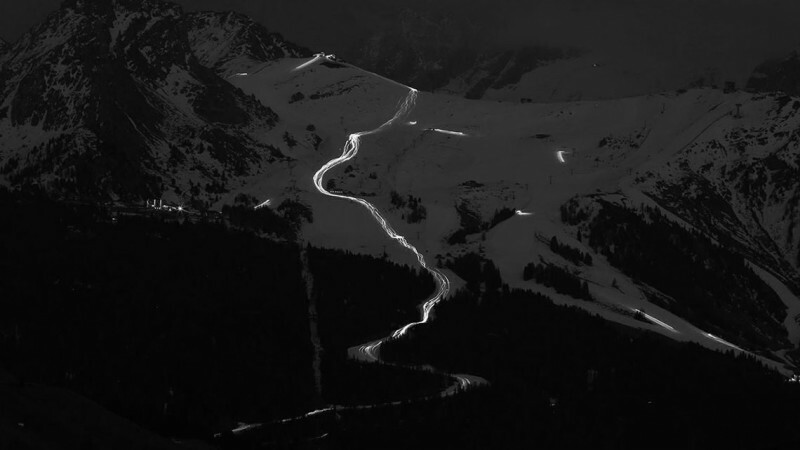 The two friends walked across the slopes for a whole night in order to evaluate the difficulties and risks and to find the best solutions for it. The dream becomes reality thanks to their good will, courage and the help of many people. Plus the idea of changing the starting point every year among the four ski resorts of Dolomiti Superski: Arabba, Corvara, Selva Gardena and Canazei. The first edition listed only slightly more than a hundred couples; but it soon became the most famous onpist skitouring race in the world. In 2009, Diego Perathoner, one of the founding fathers of the competition, died during a rescue operation in the Sella Group. Sellaronda Skimarathon lost its guide, funder and soul. However, the Perathoner family encouraged the population living in the four valleys not to give up and in 2010, through a big joined effort, the volunteers organized the first edition without Diego. Since 2011 Oswald Santin has been in charge of the organization and coordination of the race. 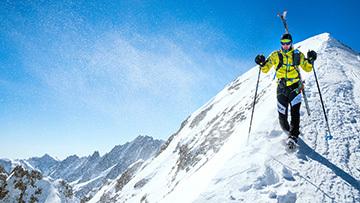 Sellaronda Skimarathon is represented by over 20 years of stories, tales, finish lines, one different form the other. 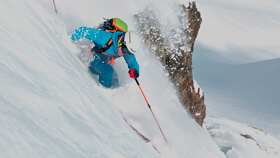 The rhythm of Sellaronda athletes never slows down, yet each year it improves and becomes faster while the mountain passes of the dolomites remain still and observe the evolution of skitouring. Today it became an accurate search of perfection both in training human engine and improving the equipment studied to fight against the time. 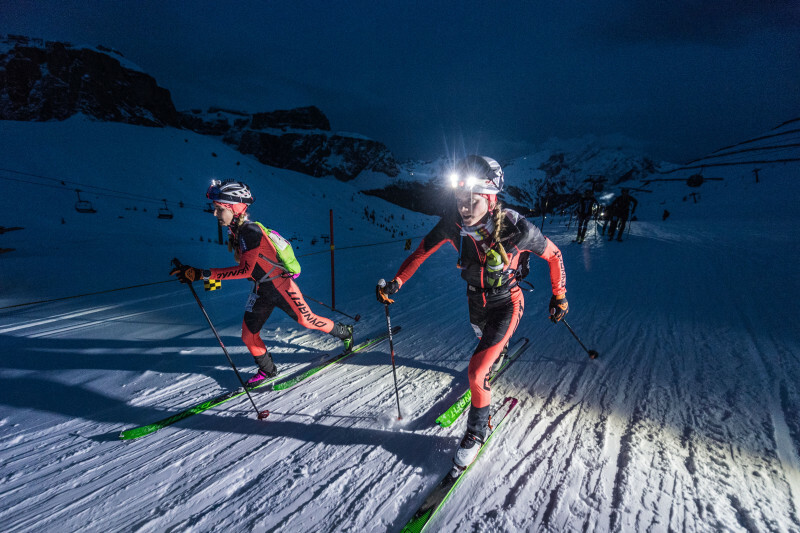 Dynafit has been promoting skitouring as a fitness exercise and safe activity, because one can practice it on the ski slopes, which is one of the ground reasons for our partnership with the Sellaronda Skimarathon. We firmly believe that this unique race anticipated the growth of Speedfit. 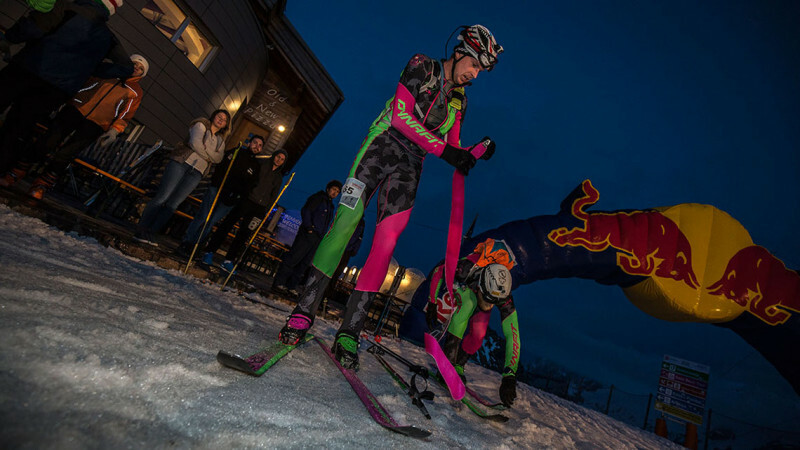 The training on ski slopes allows skialpers to take advantage of the entire winter season, better train before the races and it’s obviously the right activity in order to prepare for a demanding race such as the Sellaronda Skimarathon. 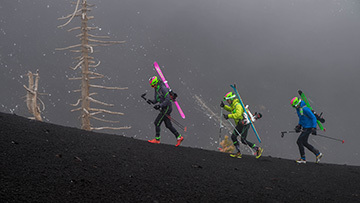 The slopes are groomed, one can train for short races, improve resistance and speed or do interval training. 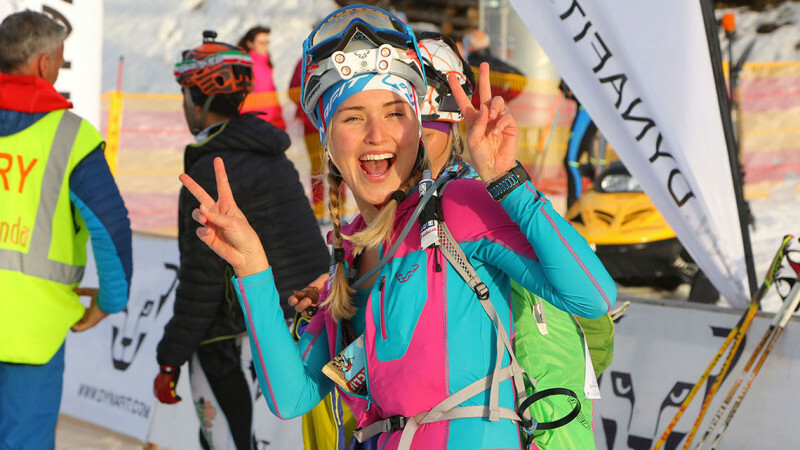 The date of the 24th edition of the Sellaronda Skimarathon is March 22, 2019. 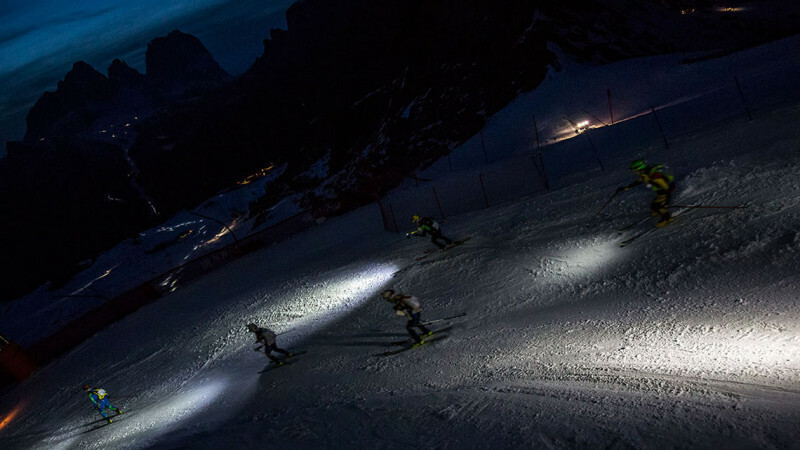 Starting point is the Sëlva in the 'Val Gardena' valley at 6pm, with the first lights of down, which is also the finishing point participants will reach during the night, surrounded by a spectacular scenery. It took only 46 minutes and 16 seconds since the subscription opening on the race official website on Wednesday January, 3, to give away the 300 bibs destined to the Italian teams, counting one subscription each 9 seconds! The 250 bibs destined to foreign teams were particularly requested. Furthermore the organization has a “wild card” of 100 teams which have to be added to this amount. The clothing required has to be of the athletes' size. The lucky ones who managed to get their bibs can use the dedicated chat “Fast Skin” where they can directly chat to the organizers. The date of the 23rd edition of the Sellaronda Skimarathon is Friday March, 16, 2018. 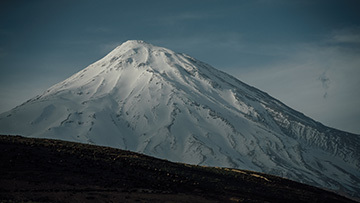 Starting point is Canazei at 6pm, with the first lights of down, which is also the finishing point participants will reach during the night, surrounded by a spectacular scenery. It took only 46 minutes and 16 seconds since the subscription opening on the race official website on Wednesday January, 3, to give away the 300 bibs destined to the Italian teams, counting one subscription each 9 seconds! The 250 bibs destined to foreign teams were particularly requested. Furthermore the organization has a “wild card” of 100 teams which have to be added to this amount. For these who didn’t make it among the subscribers, http://www.sellaronda.it/deutsch/iscrizioni.asp displays a list of the participants and the last draw will be held on February, 15. All 4 jackets must be long sleeves.